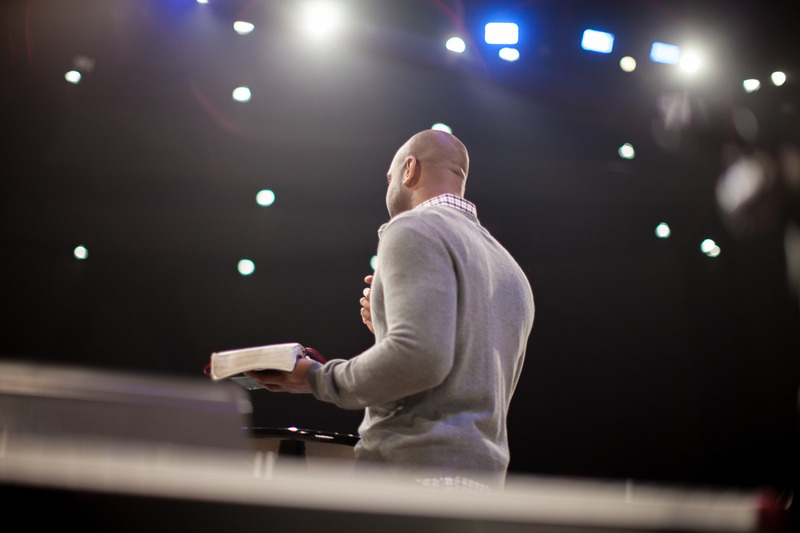 Guarding Your Heart in the Pulpit | H.B. Charles Jr. In the Sermon on the Mount, Jesus warned his followers not to practice spiritual devotion with ulterior motives (Matthew 6:1-18). Do not give to the needy to be celebrated for your generosity. Do not pray to be heard by men. Do not fast so people will consider you spiritual. How do you avoid practicing Godward acts with man-centered motives? Jesus teaches that acts of devotion should be done in private, before God not man. Preachers also struggle with the temptation to make their charge from God a performance before men. But we cannot overcome this temptation by moving the pulpit to our secret closets. Preaching is a public act of spiritual devotion. We may pray that God would hide us behind the cross as we preach. But there is no place to hide in the pulpit. Let’s face it. The pulpit is a dangerous place. It can fill the preacher with pride that leads to his downfall. It call fill the preacher with discouragement that causes him to give up. It can fill the preacher with fear that prostitutes his divine message for human approval. 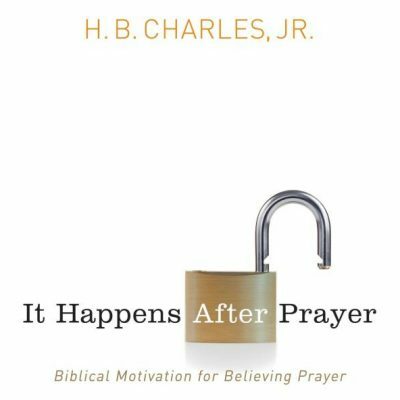 Sermon preparation is an exercise in believing prayer. We should thank God for the privilege of speaking for him. We should pray for illumination of the revealed scriptures. We should ask God to yield the wisdom of the writers we consult to us. We should confess our sins to God when the text convicts us. We should pray for help to personally obey teachings of God’s word. We should pray the Lord would enable us to speak faithfully and clearly. We should pray for a spiritual burden for those who will hear the message. We should pray that Christ would be exalted as the word is explained. We should even pray as we preach! Coming to the pulpit prayed up will help guard your heart as you preach. Sermon preparation is a humbling process. Studying the text can be like Jacob wrestling with the angel. You leave the study with a limp! Going from text to sermon is hard work. Preparing the message for Sunday will soften the heart, if done prayerfully. The finished product may cause some preachers to be lifted up. But when you know it was the Lord that helped you prepare the message, you tend to also look to the Lord to help you present the message. This is why you should do your own homework, rather than cheating off another preacher’s work. 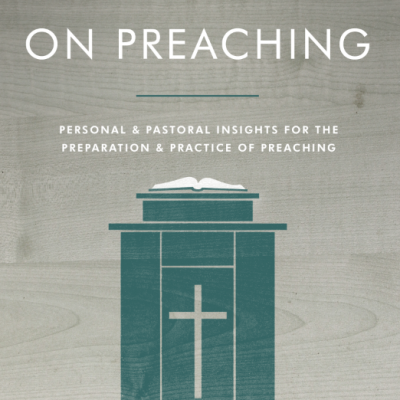 Take advantage of the sanctifying effects of sermon preparation. Then Ask the God who has guided the preparation of the message in the study to govern the presentation of the message in the pulpit. It is serious error to associate worship with music. The entire service is worship. The gathered congregation is to worship God during scripture readings, corporate prayer, and the observance of the ordinances. Listening to and responding to the preached word of God is arguably the highest act of worship. The congregation is to worship as the preacher preaches. And the preacher is to worship as he preaches to the congregation. We preach to people. But, ultimately, what is for people is not about people. God is the subject and object of Christian worship. It is for him and about him. So we should preach to an audience of one. We should remember that bottom-line of worship is that God is pleased. Paul instructs, “Do your best to present yourself to God as one approved, a worker who has no need to be ashamed, rightly handing the word of truth” (2 Timothy 2:15). 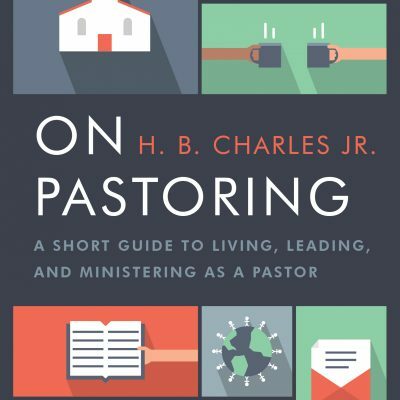 Pastor-Teachers are not life coaches, motivational speakers, or self-help gurus. We are shepherds who feed the flock of God with knowledge and understanding. 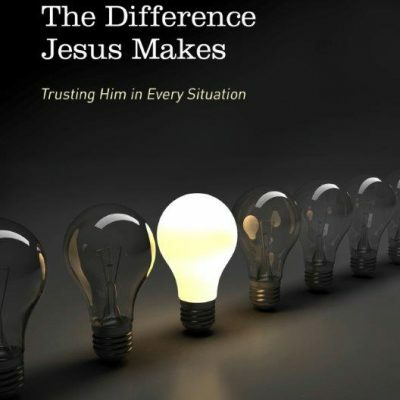 Matthew reports, “And Jesus went throughout all the cities and villages, teaching in their synagogues and proclaiming the gospel of the kingdom and healing every disease and every affliction. When he saw the crowds, he had compassion for them, because they were harassed and helpless, like sheep without a shepherd” (Matthew 9:35-36). Jesus was moved with compassion with he saw the spiritual needs of the people. We should come to the pulpit with the same sense of pastoral concern. Don’t worry about how big the room is. Don’t worry about how many people are in the room. Don’t worry about what the people in the room can do for or to you. Be a shepherd the assembled flock of sheep that leads them to the green pastures of the word of God. Come to the pulpit with an eye on eternity. I agree with Charles Spurgeon, who said, “Life and death and eternity and worlds unknown may hang on the preaching and hearing of one sermon.” As a preacher of the gospel of Jesus Christ, you should come to the pulpit with great expectations. The word of God works. But it does not work according to our schedule. This is why Paul charged Timothy to preach the word with “complete patience and teaching” (2 Timothy 4:2). So don’t panic if nothing seems to happen as you preach. Just keep preaching. The harvest is at the end of the age, not the end of the sermon. Guard your heart by looking past what the members when say to you after service and look to what Lord will say when you stand before the Judgment Seat of Christ (2 Corinthians 5:10). How do you guard your heart in the pulpit?